Not much can be said for this month. This is usually the time of year I start to slow down and take it easy. I have been hitting it pretty hard for close to 4 months now and I start to experience a little burnout. Both my self and my equipment has been taking a beating so it’s time to re-tool, relax and get ready for the start of hunting season and the fall walleye run. Getting ready for small game doesn’t take much, buy a few licenses and zero in the .22 rifle is about all I need to do. 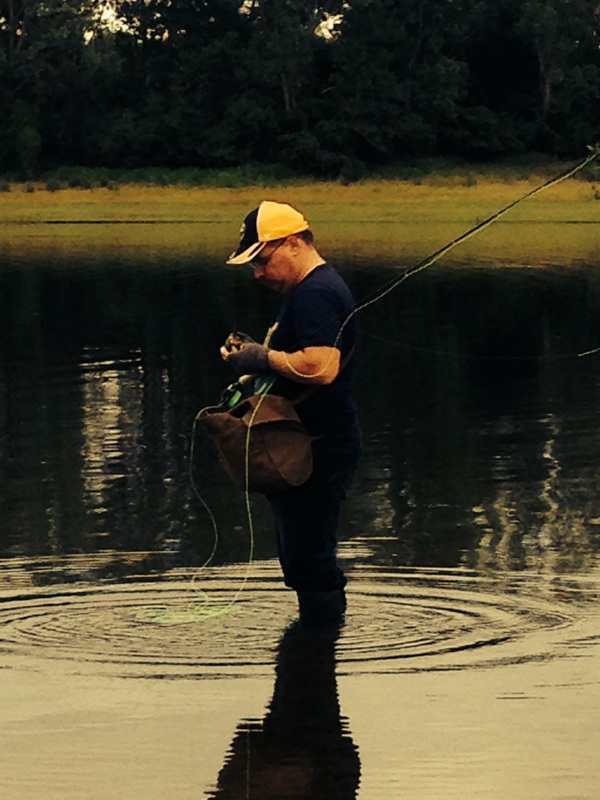 Getting ready for Fall fishing is a ltitle more involved. The first thing I do is check all my gear for battle damage. This means new leaders, swivels, snaps and shanks. Four months of beating them on rocks takes their toll and now is not the time to discover something is damaged while I’m bringing in a 6 pound fish. 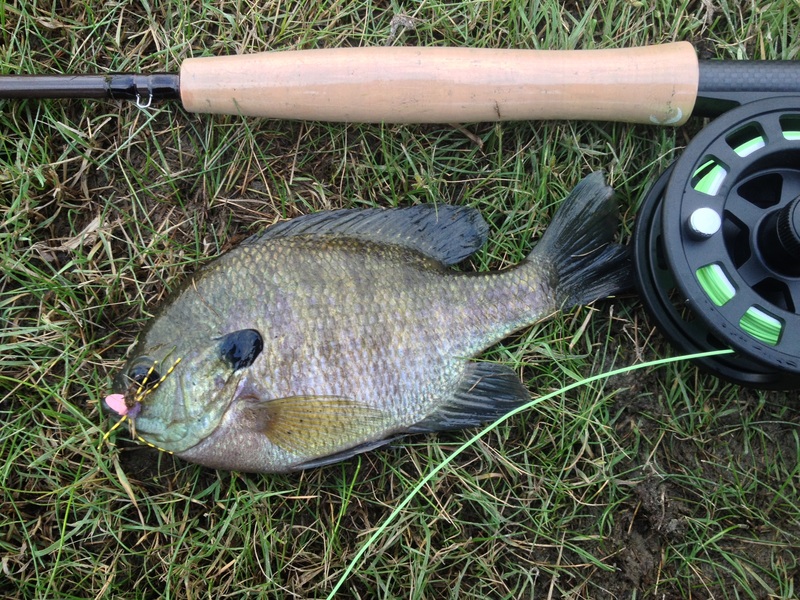 Fall fish mean big, aggressive fish and I don’t want to lose any because of a nicked line or damaged swivel. I know I should be checking these things throughout the season but I’ll admit I get lazy. Summer time fish are generally smaller and they don’t fight a lot. 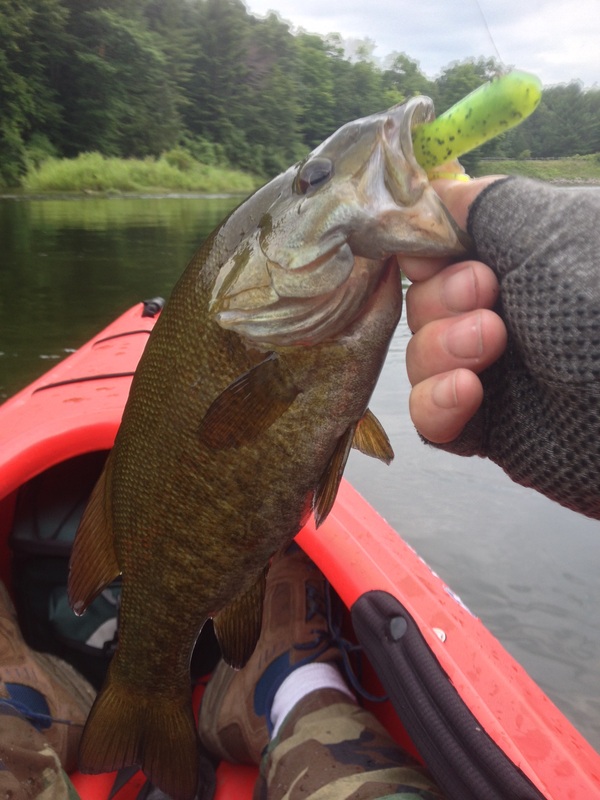 Even the Smallmouth are pretty lethargic. That all starts to change though once it starts to cool down. 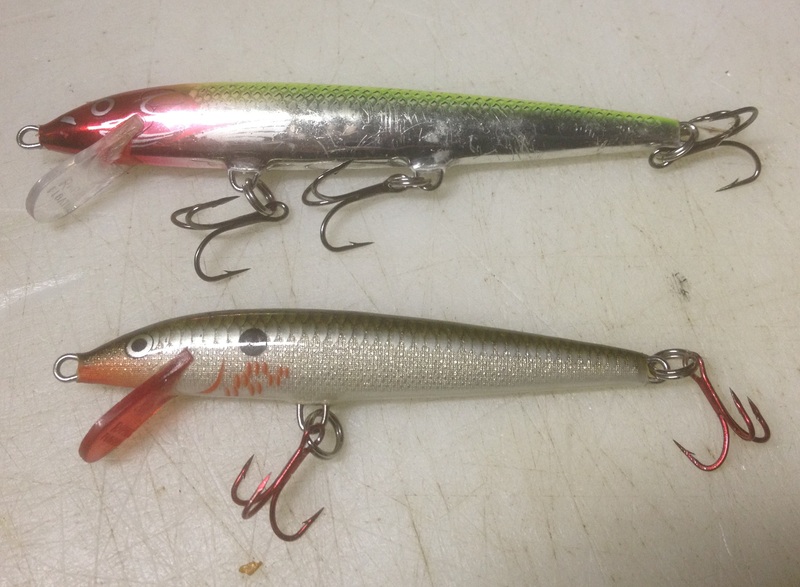 The other thing I need to do is dig out the big baits, all my size #13 Rapala’s. I have to keep these out of the boat just because I don’t have the room. I know it should seem like a no brainer to find them but every year I seem to put that box in a place I can never find. I’ll end up spending an afternoon searching the garage and my house to find them. One of these days I will get myself organized. Another thing I need to do is get the perch stuff out and ready. If for some reason the walleye don’t want to cooperate I can usually go get a few perch. 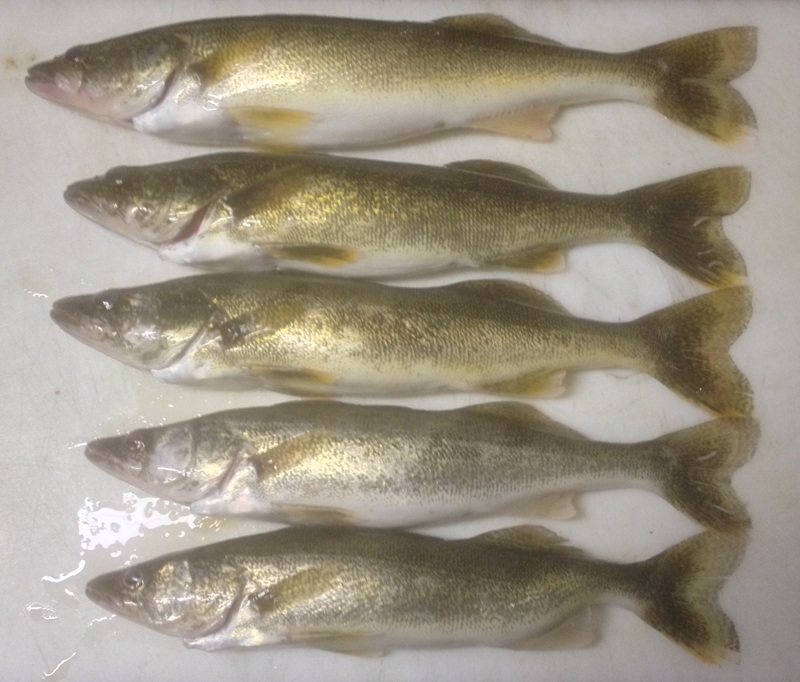 I don’t need to fill the boat with them but enough for a meal or two is a nice change from my usual walleye diet. Again, the hardest part about getting the perch stuff ready is trying to find my box of snelled hooks, sinkers and other miscellaneous items. After the record rain fall we received on Monday (8/11) I figured the river would have a little stain to it. I told this to my friend Chris so we made plans to go out on his boat right after work. I figured we could get our fish early because if the water was dirty we probably wouldn’t catch much after dark. Sound theory but it didn’t work out the way I expected. We hit the water around 6;30 pm and the water was still clear, 3 feet of visibility at least. Oh well. We started south of the blue boat house and worked our may north. Weeds were pretty much non existent and the surface temp was still around 70 degrees. I started off with a couple of spoons (Riley, Lucky GSC) and a #9 BCF Rapala. Around 8 I caught a 22 inch male on the Lucky GSC Spoon. That was our only walleye for the first 2 hours. 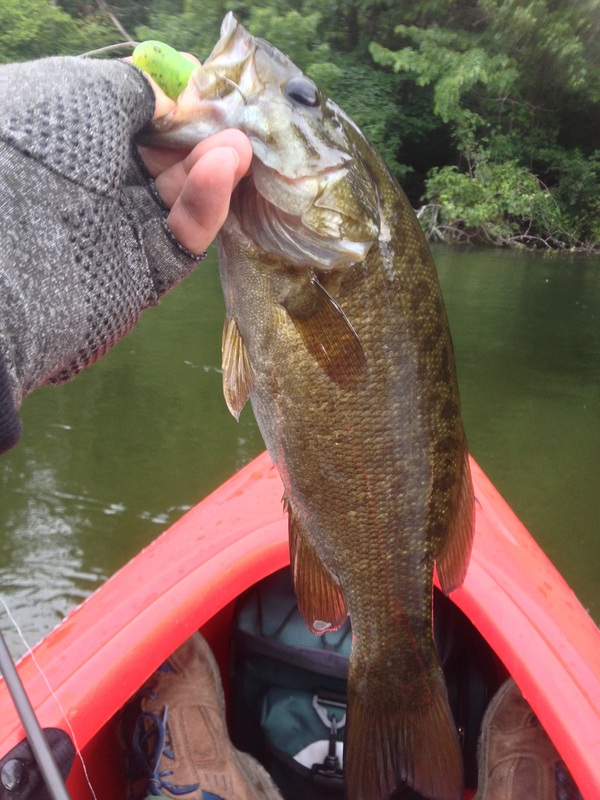 We did manage to catch a bunch of smallmouths, most of them dinks but I did pull in my first 20 incher for the year. An old bruiser with lots of battle scars. 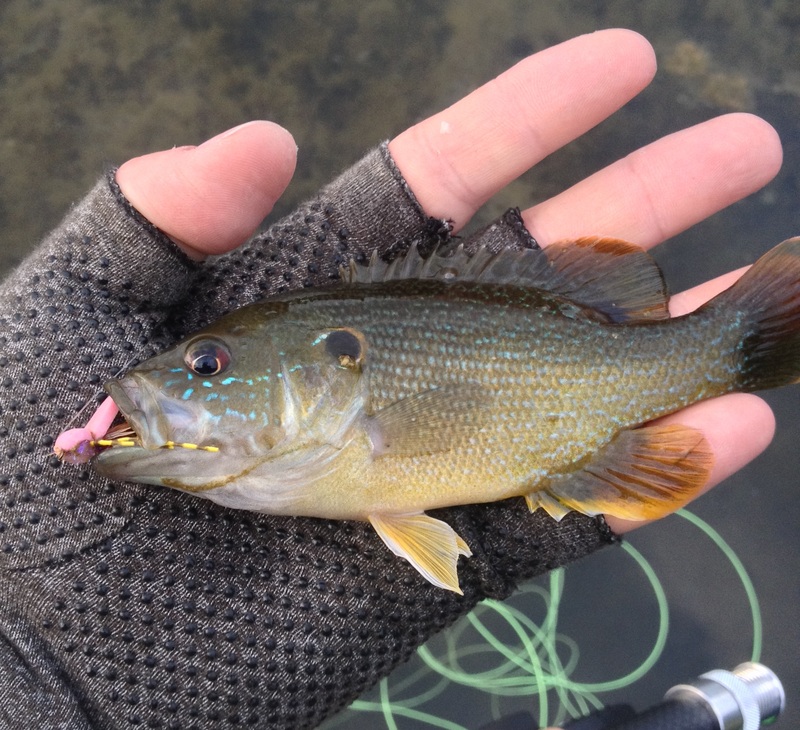 When I brought him into the boat he also spit up two gobies and a crayfish, the little pig. Once it got dark I switched over to all Rapala’s. Chris did the same but it didn’t matter. He didn’t catch any walleye while I landed 3 more eaters. Around 10:00 pm we both got hung up on the same snag and all our lines got tangled. Chris had cut his thumb open as well so we called it quits. We ended up with 4 walleye, One on a spoon, another on a #9 Blue/Silver Rapala and the other two on a #9 Bleeding Copper Flash Rapala. Fellow Handliners Dave and Larry were out and they got 6 with an additional throwback. Larry managed to land a 28 incher, on what I have no idea. I just know the size. Looks like fishing is picking up again and unfortunately my boat is still down. Chris and I will probably give it another shot next weekend. He has to make a few adjustments on his set up. By the end of the night he figured out he was using 30/15 foot leads on a 40/2o inch shanks. Lure were to far off the bottom for walleye but just right for little smallmouth. No pictures tonight, I let Chris keep the fish. Maybe next time. I don’t care what they say, these things need to be kept out period. Last night was on of the those nights I dream about. 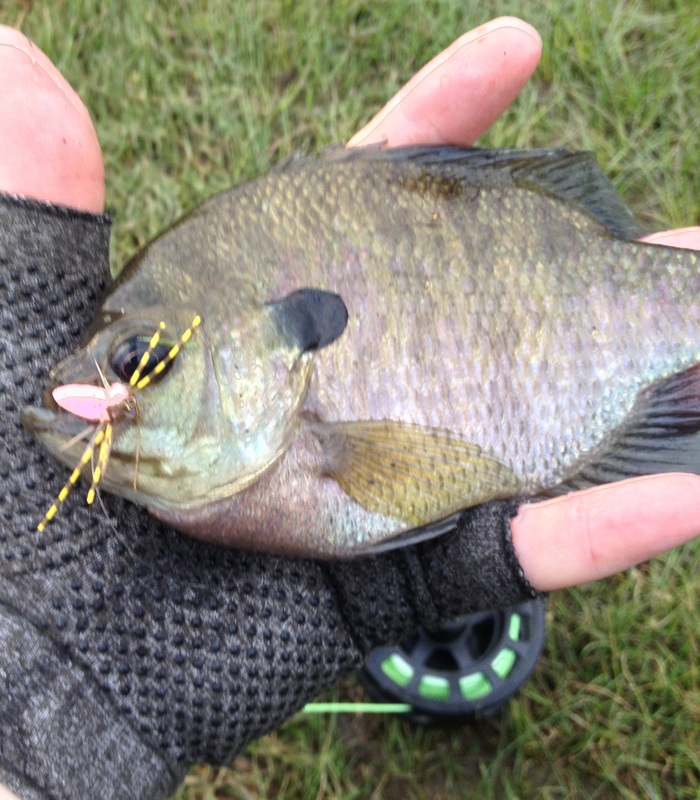 Conditions were great, fish were active and I guessed right on the lures to use. Only problem was that this will probably be my last trip for awhile. More on that later. I got to the ramp around 8:00 pm and took my time getting ready. The water was still unbelievably clear but I didn’t see any big weed mats floating down stream. I was worried about this since we have had a NE wind all day. Once I got the boat ready I launched and headed down to the north end of Calf Island. I started off with a couple of Spike’s Spoons and a #9 Bleeding Copper Flash Rapala. This was only going to be temporary, the sun was setting fast and the near full moon was rising. Around 8:45 pm I switched over to all Rapala’s and slowly worked my way up to the Cat. After a few minutes I picked up my first walleye of the night. After that fish things were pretty quiet until about 9:30 pm. I was just north of the Cat and I picked up my second of 6 fish for the night, all in the same area. 4 of the fish came on a #9 Bleeding Olive Rapala on my 20 foot lead. The other 2 came on a #11 Clown Rapala and my 40 foot lead. Nothing on the kicker. A little after 10:00 pm I lost a nice fish which would have been my fifth for the night. Didn’t matter, 5 minutes later I had two on. I kept the larger of the two and threw the other one back for another day. By 10:15 pm I was all done and heading home. Other than that early fish all the rest came after 9:30 pm. After the sun was down and the moon was out. I love fishing under a full moon and no clouds. Now for the reason why this will be my last trip for awhile. 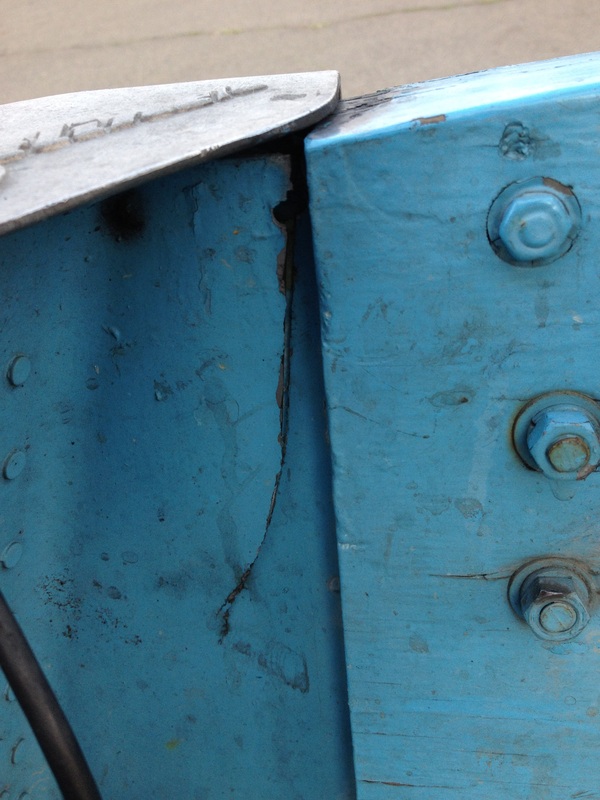 While I was getting the boat ready I discovered a 6 inch long crack in the aluminum along the transom. I need to get that repaired before I make any more trips. That means I have to take the engine off and rebuild the wooden transom. I was planning on doing that this winter but I don’t have any choice now. Looks like I will be doing a lot more fly fishing in the mean time. 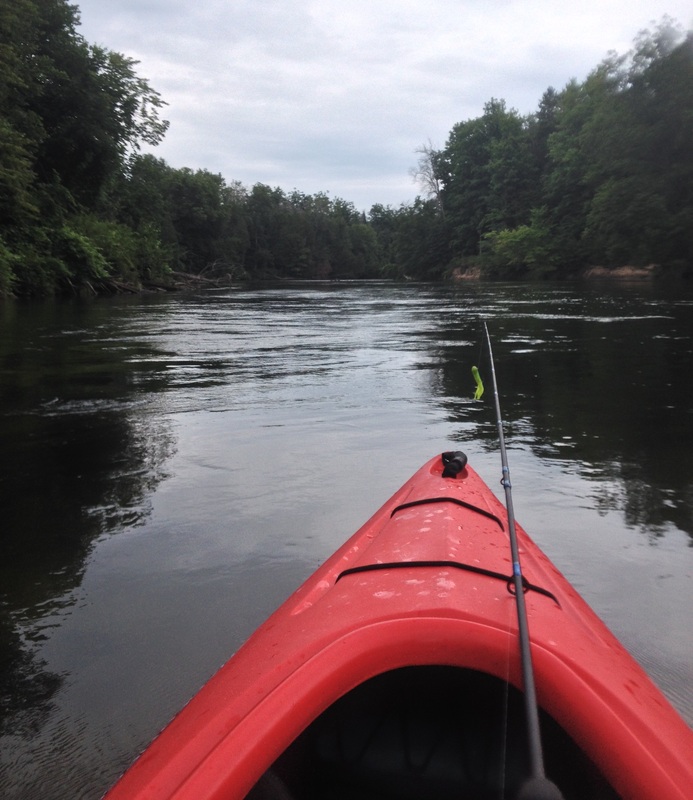 The next morning I decided to take the kayak out and paddle down the AuSable. This would be the first time this year that I have been out kayaking. My Dad dropped me off at Foote Dam and he was going to pick me up at the Whirlpool ramp later, about a 3 hour trip. I started off with a crankbait but after quickly losing it to a log jam I switched over to the old reliable tube bait. That did the trick. They weren’t huge like the ones I catch on the Detroit River but at least they were being caught on a fishing rod and not with wire. One thing of interest was that a lot of the smallmouth I caught were spitting up crayfish as I was reeling them in. Not surprising since I caught most of them near rocky edges. I did manage to pull a few out of the many log jams but the majority were caught near the rocks. On area in particular was a rocky ledge that ran for about 100 yards downstream. I managed to hook and lose 4 in that spot. I really need to remember to set the hook a lot harder when I get a hit. It was very peaceful on the river. 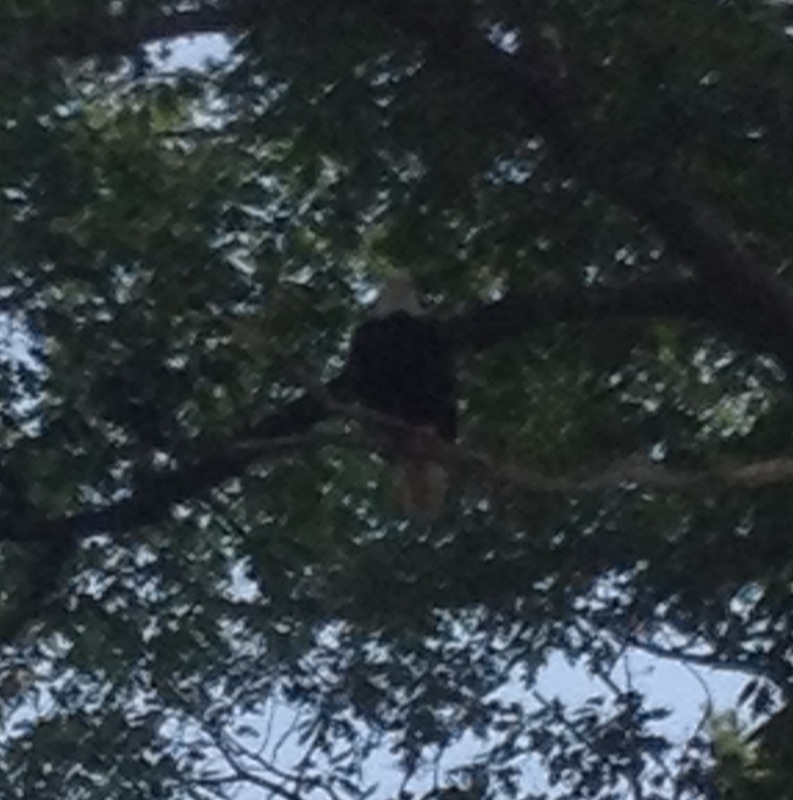 My only company was a couple of bald eagles and a family of river otters. No other people the whole time on the water. Pure serenity. My first morning in Oscoda was going to be spent on Van Etten lake with my Dad and his neighbor Dennis. 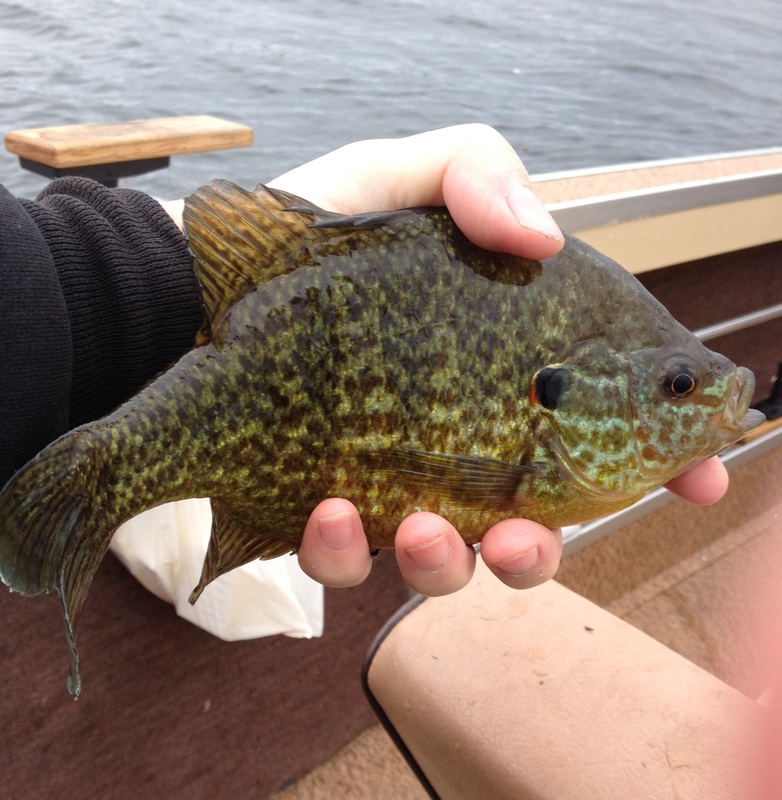 They have been doing rather well on the panfish and perch and I was hoping that would continue. 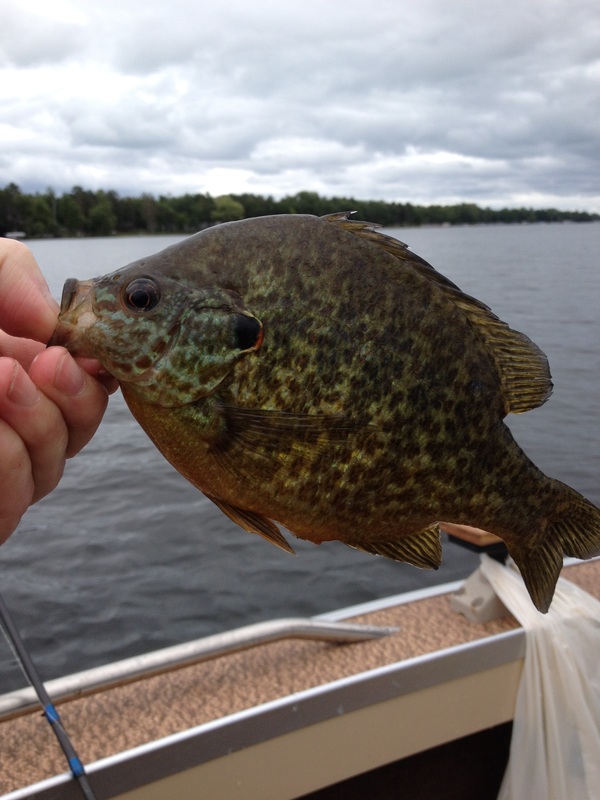 Since I can’t put salmon in the freezer I am hoping to replace it with some panfish and perch. We hit the water around 9:30 am and headed for the east side of the lake to a weedy are in about 7 feet of water. 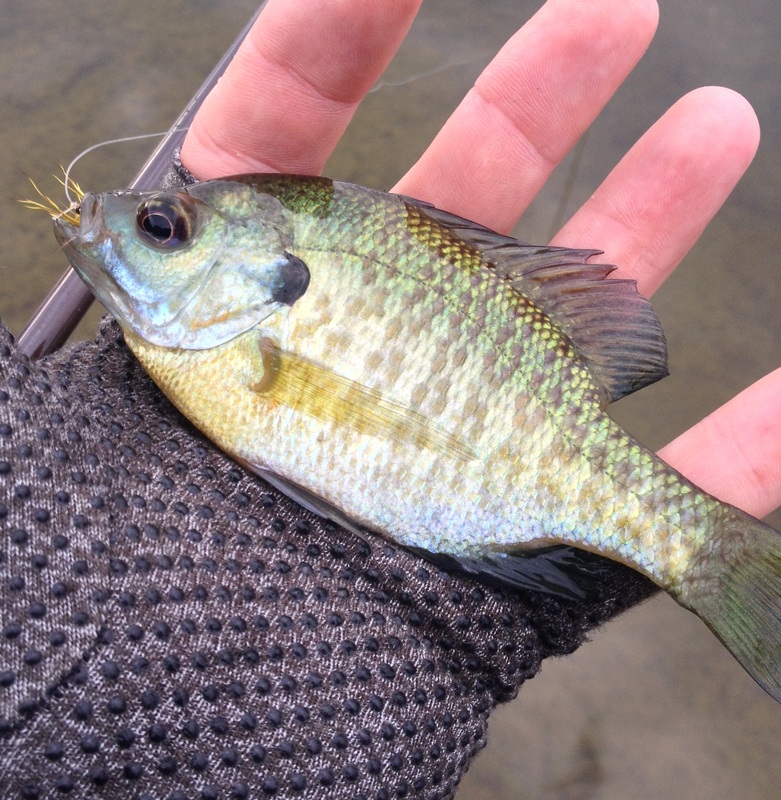 We had a brisk wind out of the north so I was going to stick to using leaf worms instead of my fly rod. My Dad and Dennis were going to use leaf worms as well on snelled hooks and crappie rigs. 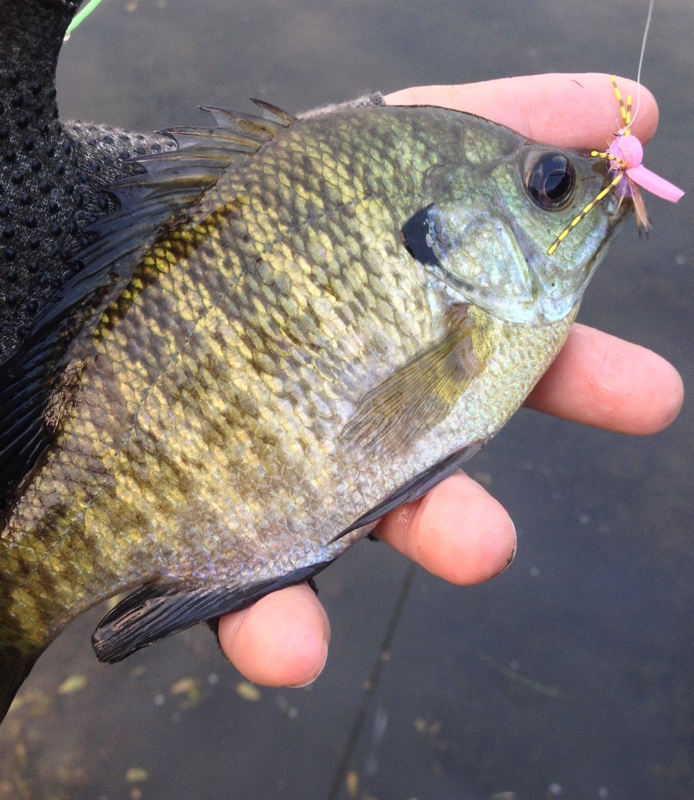 I was using a small jig below a slip bobber set at about 5 feet. Once we got the anchors set we dropped lines and quickly started to catch fish. We continued to pick away at them for the next few hours. We really didn’t move around to much unless the anchor lost it’s hold and the wind pushed us south. After about 4 hours things were starting to slow down so we packed it in. 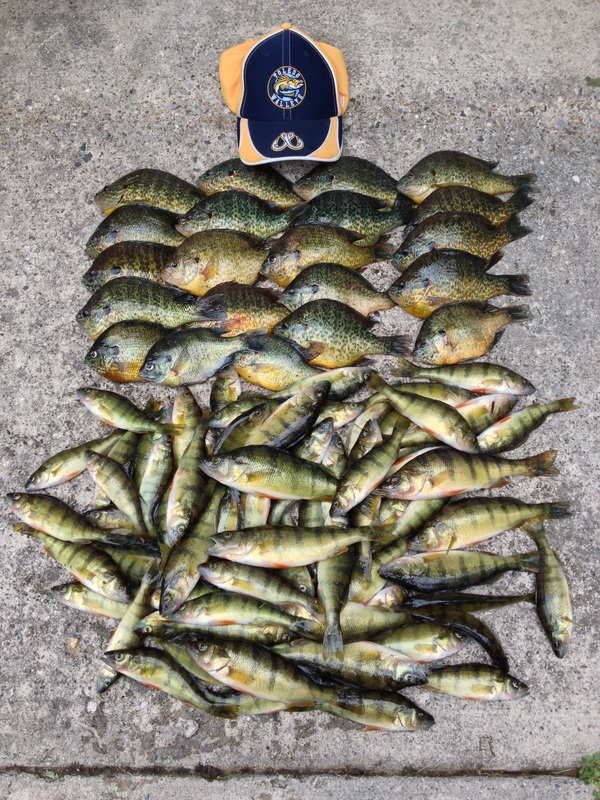 We ended up with 22 panfish and 74 perch. Not to bad and the best part is that I didn’t have to clean them. Wellman’s, the local bait shop, cleans fish for 4 bucks a pound. I’ll pay that all day long to keep from having to scale and clean that many fish.